Contact/Appointments – Kathy J. Marshack, Ph.D. There Are Four Ways to Schedule: Click Here to Schedule Appt. Most of Dr. Marshack’s appointments are held using video via HIPAA compliant software. Find out how easy and comfortable it is to meet “on-line,” in the privacy of your own space. You can schedule using the convenient online calendar, which will direct you to set up your password protected client portal. Follow the simple menu of instructions to schedule a Video Therapy appointment, or a Video Education appointment. For example, you can schedule a 60, 40, or 20 minute Video Education appointment. Or you can schedule a 38 or 50 minute Video Therapy appointment. Once in your secure client portal, you will also receive instructions on how to make a co-payment, and to authorize your health insurance. Video Therapy or Video Education? To choose which is the best format for your situation read more at Therapy Basics and Video Education. Once you are a registered client, further communication with Dr. Marshack or her staff is totally confidential using your private client portal. Our online scheduling system is the same for all Video Therapy or Video Education Appointments, regardless of your geographical location. However, the software is designed primarily for those living in the USA and Canada, although we can accept clients from around the world. —In the address field enter your City and Country in the “City” field. —Type “NA ” in the “State” field. More questions? Please contact Dr. Marshack or her assistant for help. As an existing client of Dr. Marshack, you may feel more comfortable continuing to meet face-to-face in her office. Or if you are new to Video Therapy, you may prefer meeting in person. You can schedule an In-Office Appointment using the convenient online calendar, which will direct you to set up your password protected client portal. 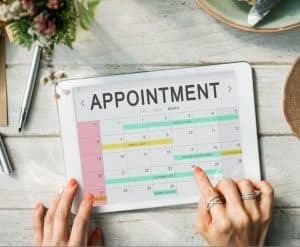 Follow the simple menu of instructions to schedule either a 38 or 50 minute appointment. Once in your secure client portal, you will also receive instructions on how to make a co-payment, and to authorize your health insurance. As a registered client, further communication with Dr. Marshack or her staff is totally confidential using your private client portal. Dr. Marshack’s office is located at 700 N. Hayden Island Drive, Suite 274, Portland OR 97217. As a member, you can join dozens of private, online discussions; and attend video calls or teleconferences. She also sponsors several monthly face-to-face meetings located around the world. You are safe in our group. Only members can access the discussion forums, or private conferences. You can ask questions and share stories of your day. Not everyone agrees on everything, but our diversity is what creates opportunity to grow and change and take back your life from these very tough ASD relationships. You can learn more or join this support group.